i love that corner and can see why it is your favorite! it's very you and special with the touch of the painting, too! That looks fantastic! Love how it seems collected over time and the colors you included are fun. The pops of pink in that room are wonderful. 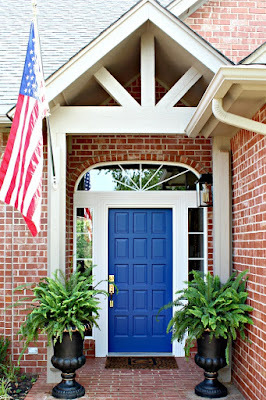 Gosh I just adore everything about your house! Still can't get over that chair, so gorgeous! I love the chair "as is" and not painted! And I can't help but notice those great dipped-leg barstools- love them! 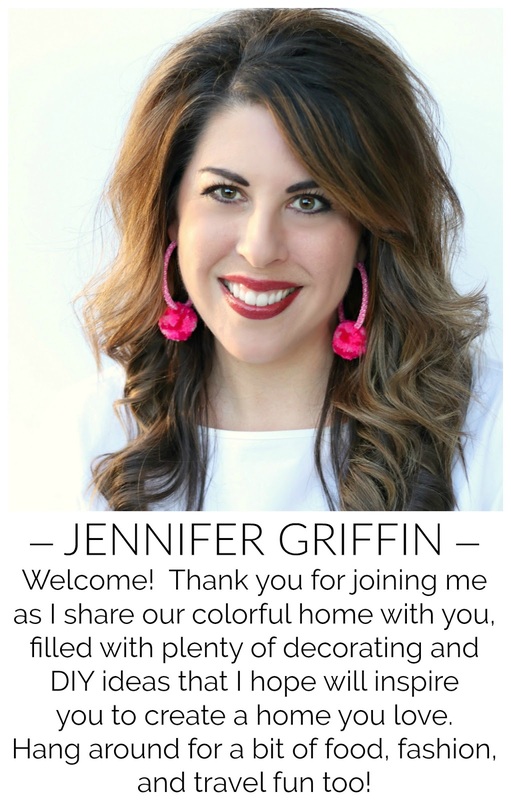 Your house is gorgeous! I love it! Your house is so beautiful! 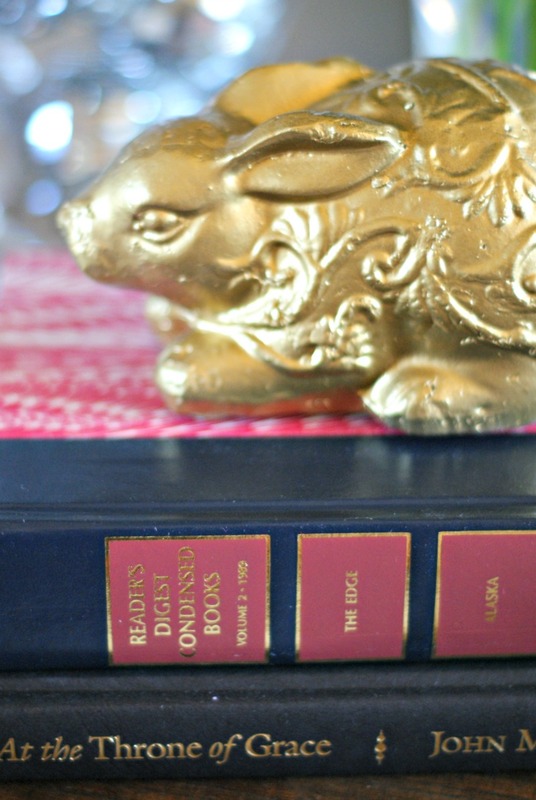 I love that little reading spot. 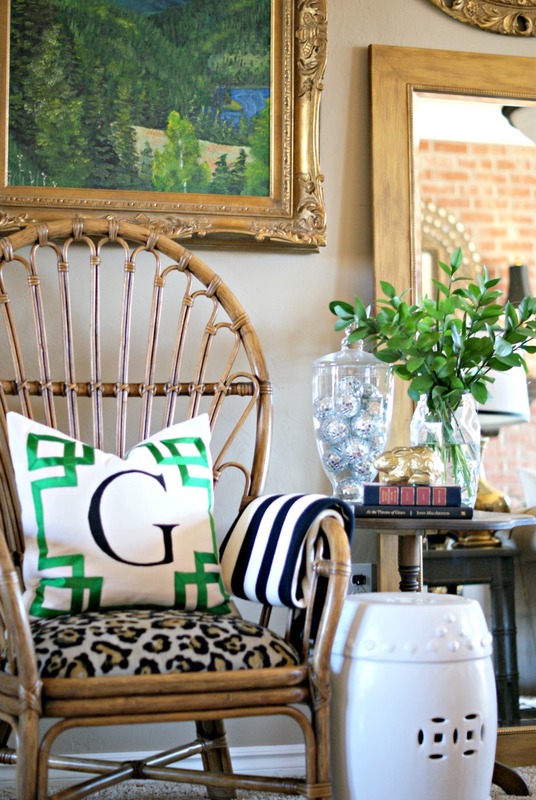 The pillow with the green ribbon is super cute and I spied a houndstooth pillow - I love that! Pinning this! PS - I saw in your bio that your husband is a southern baptist pastor..my husband is too (the student ministry kind haha). Perfection ~ as usual! I love the touches of pink. By the way, when did you do the floor lamp? 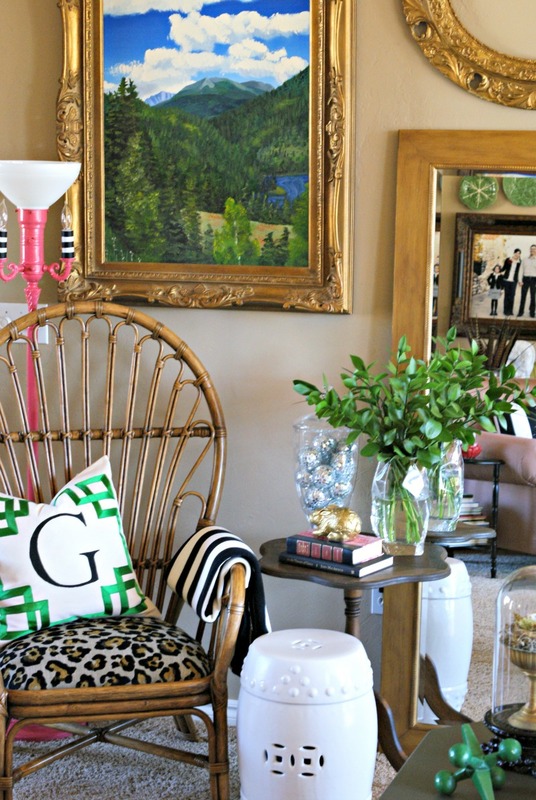 The oval frame and mirror really call my name. 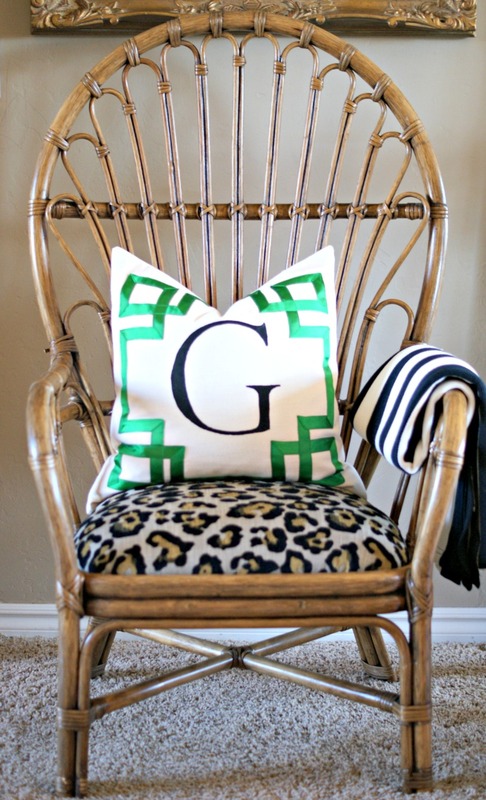 :) Love the leopard cushion...well, all of it! 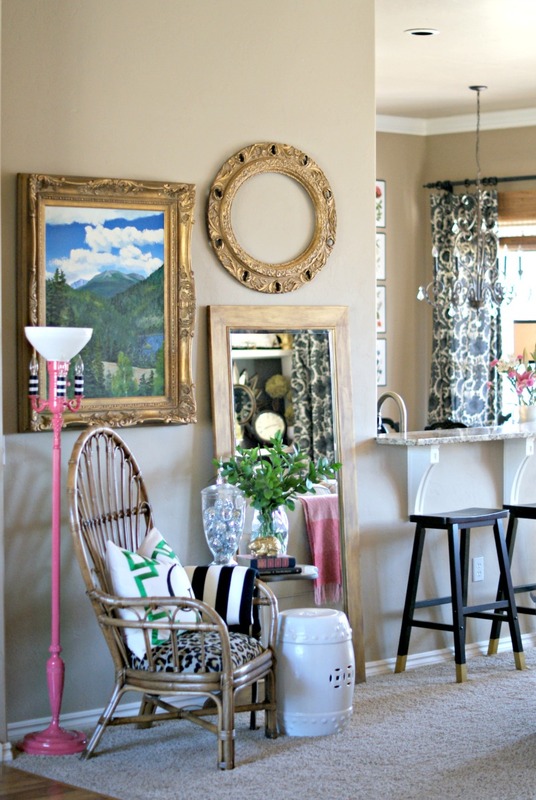 Oh, I love the way you put a room together! It's so colorful, cozy and HAPPY. Thrifting is so much fun and you feel so jubilant when you score. I'm looking at your brick fireplace in the mirror. 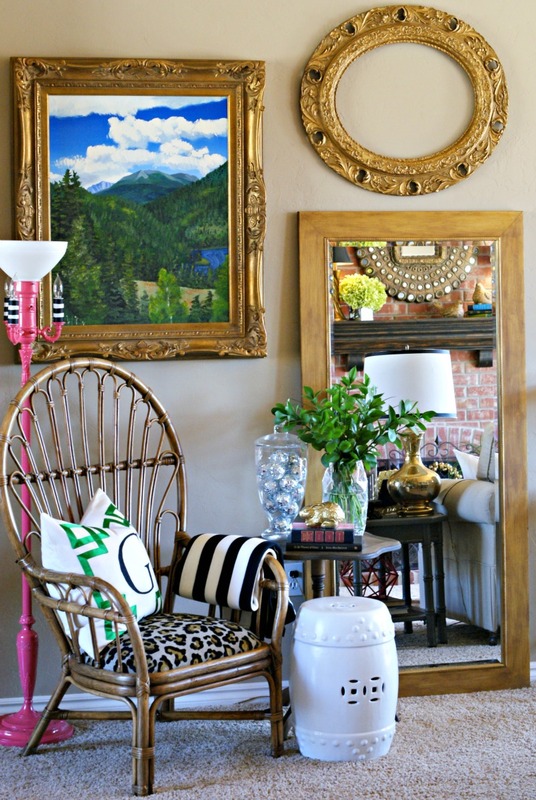 I have a similar brick -colored hearth and now I'm thinking I need to find that mirror on the cheap somewhere! Thanks for stopping by Farmgirl Follies - I'm eager to explore more of your site! Beautiful! I love how colorful and cozy that corner is. I want to sit and read there. That is SUCH a pretty spot….I'm calling it when I come visiting!! I can't believe your sister painted that gorgeous scene….so talented! 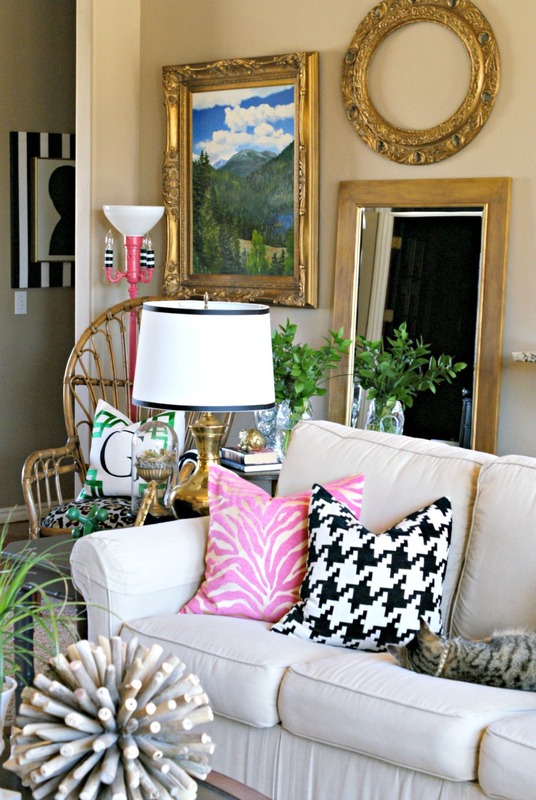 The grouping looks great on the wall, and I also love the pops of pink here and there, so fun for spring!